Are you continuing to use the computer frequently during these extensions that you are requesting? No, I have not been. It looks like no threats were found. Yep, it's clean. Let's see if you have any device issues or conflicts. 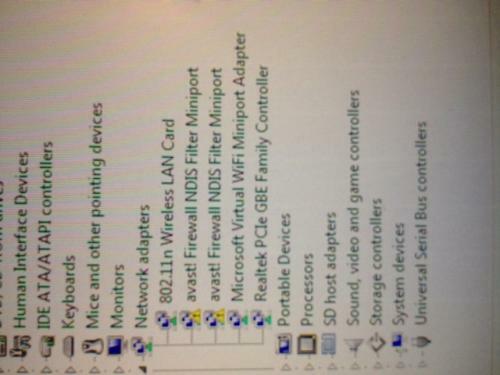 The Windows Device Manager should display immediately. Edited by ego10fan, 17 May 2014 - 02:00 PM. Does the paid version of Avast that you have include a firewall or not? Do you have the firewall in Avast turned on or are you still using the Windows firewall? 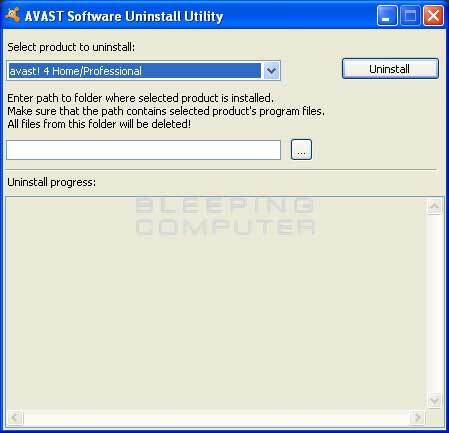 Did you uninstall the free version of Avast before installing the Internet Security suite? OK. Let's completely uninstall both Avast! programs. Then check the computer and see if you are still having the issues with opening programs. If that resolves the problem we will reinstall Avast! Internet Security. I want you to make sure that you have the licensing or registration information for the Avast! Internet Security program (If it was e-mailed to you it will be safe in your e-mails). 1. Download the Avast! Uninstall Tool from here. Save the awsclear.exe file to the desktop. 2. Download Avast! Internet Security from here. Save the avast_internet_security_setup.exe file to the desktop. Now close the browser and all open windows. Disconnect the computer from the internet. Since we are going to uninstall your antivirus protection I don't want the computer connected to the internet. You can reconnect it after you see if the problem has been resolved...but just to come back here and let me know. Restart your computer and as soon as it starts booting up again continuously tap the F8 key. 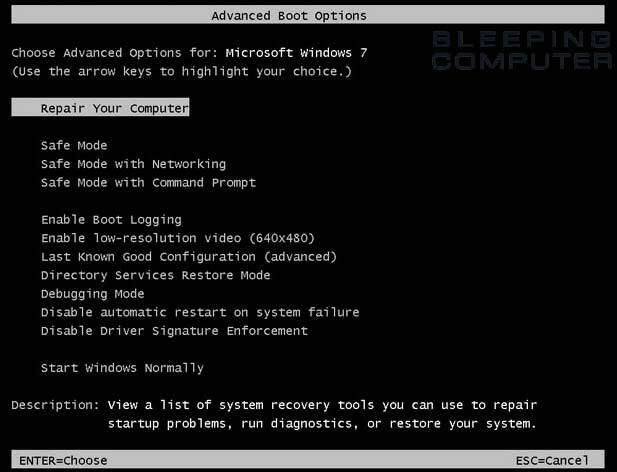 An Advanced Boot Options screen will come up where you will be given the option to enter Safe Mode. NOTE: If you miss the Boot menu, continue to let the machine boot up. Then restart the machine and start tapping the F8 key. Very Important: Never restart the computer while it is booting up. Bad things, including the computer not being able to load Windows, can occur! Use the down arrow key to highlight Safe Mode and push the ENTER key. At the login prompt, login as a user with administrative rights. Double click the aswclear.exe file to run it. Right click the aswclear.exe file and click Run as Administrator to run it. OK any UAC prompts. In the Select product to uninstall field, select the required product you want to uninstall. NOTE: If you installed Avast in a different folder than the default, then select the required folder in the field Enter path to folder where selected product is installed. Click the Uninstall button. Wait till the process is completed. "Remaining items will be removed after restart. Do you wish to restart now?". Click the Yes button to restart your computer. 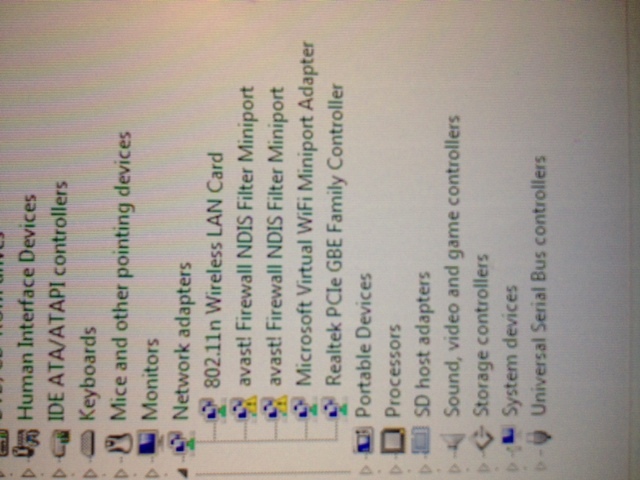 Now go back into the Device Manager and see if the yellow question marks are gone from the Network Adapters. Run the computer for a while and see if programs will open properly now. Then shut the computer down and reconnect it to the internet. Then boot it up and come back here and let me know if the Device Manager shows anything and if the problem is gone now. Then log out of the site and shut the computer down. Only turn it back on to come here and check for my next reply, which will include reinstalling Avast.